Paracel Miniatures from Vietnam started a new series named Modern Wars and added really interesting posed and useful figures that can be widely used in many scenes of Middle East conflicts. MW3503 Selfie includes 2 tanker figures posing to a cellphone. Figures on this kit are also available seperately as MW3501 Arab Army -1 and MW3501 Arab Army -2 depicting tankers that can be used for Iraqi, Syrian and some other Mideast armies or rebels. Kit comes in a cardboard box labeled with a photo of painted figures. Body parts of each figure and other small parts are seperately inserted into transparent zip-lock bags. Figures are sculpted in 1/35 scale by Jangleo in crisp details and cast in cream color resin. Parts are represented with easy to remove blocks and casting quality is good. No casting mistakes or air bubbles on review samples but there will be a small need for a cleanwork to get rid of a few seamlines before painting. Facial details, moustache and long beards are well defined on both figures giving them a Middle East apperance. They wear Russian Style Tanker Helmets with heavy cotton pads across forehead and on the top of head. With the headphones built into the helmet, it also has two throat microphones for communication. The helmet was connected to the tank via the 4-pin cable attached to the helmet, allowing for full communication in the field. These helmets have a good tight fit, with the headphones extremely effective at noise reduction. 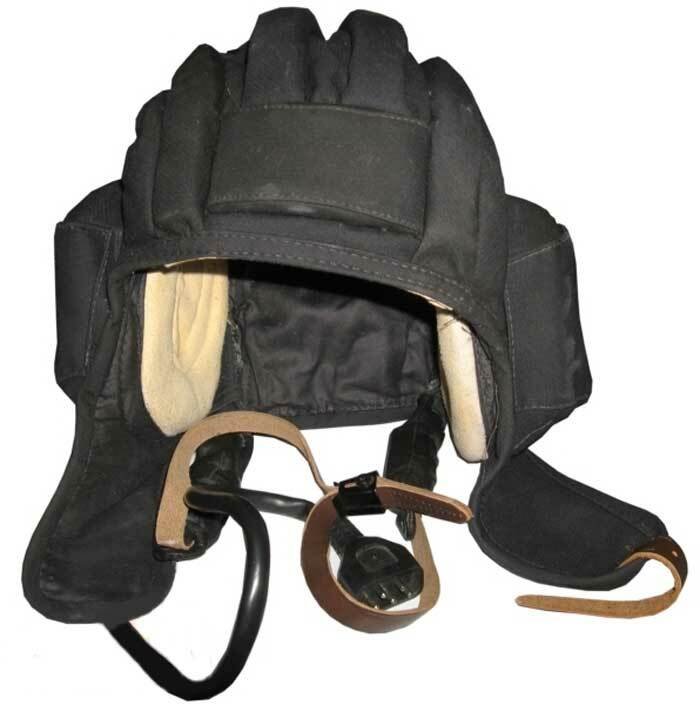 Buckled straps to the back and on the top of the helmet allow for some adjustability, and buttoned headphone covers allow for easy removal of the communications system if desired. The ear flaps can either be worn loose, or tight using a further buckled strap. Helmet details are well defined and headset cables are cast on the figures. Uniforms of the figures are not typical or standard as Mideast armies wear a variety of uniforms from US,Russia or locally produced. Figures wear trousers with cargo pockets on both sides that can be painted in different camouflage patterns by the modeler and leather long boots with laces in front. : He makes a Victory sign with his right hand and raises left arm to take a selfie. He wears a waist length tanker jacket with hood and knit cuffs. Hood, front flap covering buttons, headset cable, knit cuffs and waist string are well defined. Two alternative left hand options are supplied with cellphone and cellphone on selfie stick. : He poses for selfie with his right hand on his waist. He wears a tanker jacket with fur collar, two breast and two waist pockets - all with flap covers and carries a scarf on his neck. Left arm : He makes obscene hand gesture - Finger. I really appreciated Paracel Miniatures for the idea of producing such interesting figures. Nice poses, very good sculpt and cast. They can be used as many tankers from different armies in Middle East. Highs: Very nice posed figures sculpted and cast in good details. Alternative left hand with cellphone and selfie stick. Our Thanks to Paracel Miniatures! I'm waiting on my order of this same set. I have some doubts whether the hand gestures are the ones that Arabs would use... Arabs have quite different "gesture system" from what we are used to in the Western world. It could be that those gestures are either meaningless for Arabs, or have a completely different meaning for them than we think. One guy is giving a peace sign. Other dude is giving half a peace sign.